Understanding God as one and three. According to their entry in the Synaxarion of Constantinople on October 25th, the three Martyrs are called Faustus, Basil and Loukianos, and it says they were martyred by the sword. In the entry on February 6th, the three Martyrs are called Faustus, Basil and Silouan. It is suggested also that they suffered martyrdom together with other Holy Martyrs in the Darion district of Constantinople. 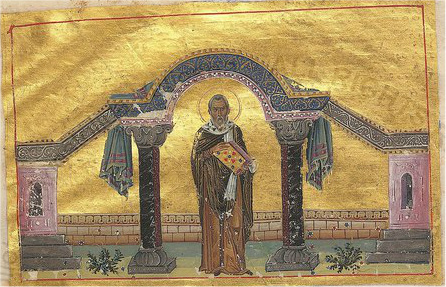 The Menologion of Basil II has an image of Saint Faustus, without any other information except he is called and dressed as a Bishop. The iambic verses for both feast days are the same, which is why these Martyrs are thought to be the same people.